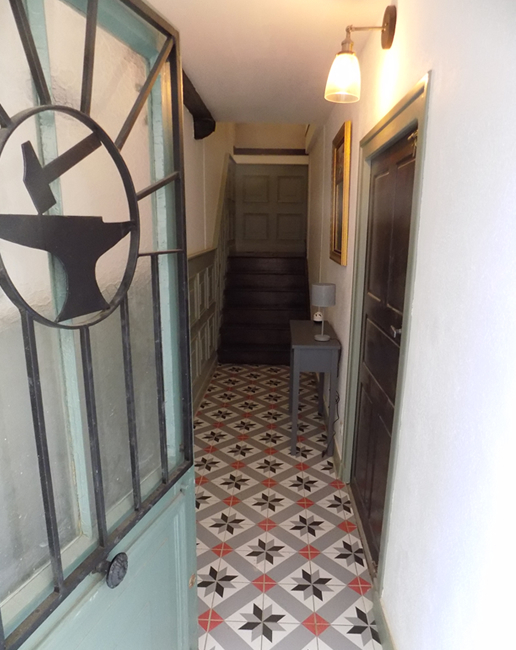 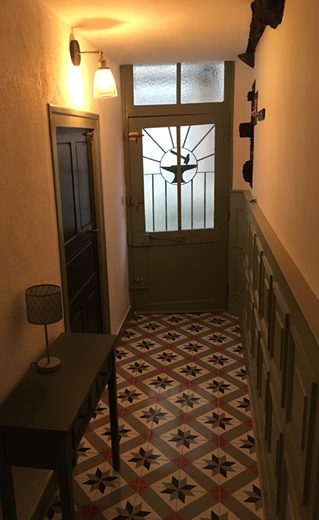 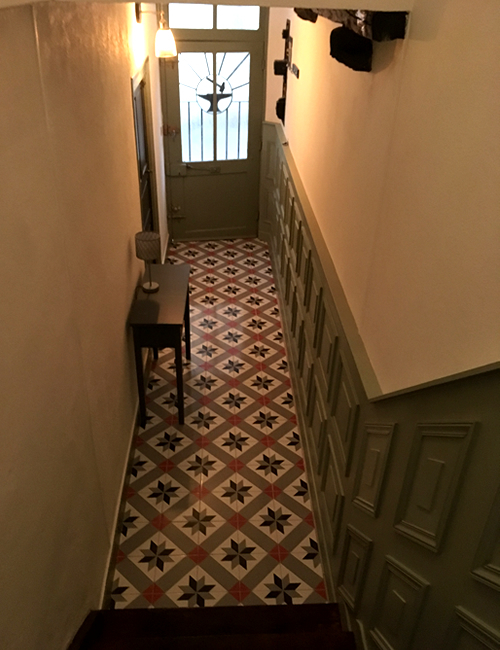 An anvil and hammer adorns the main entrance to our Charente holiday home in Confolens, open the door to reveal a wood panelled and French tiled entrance hall greeting you into the L'ancienne Forge! 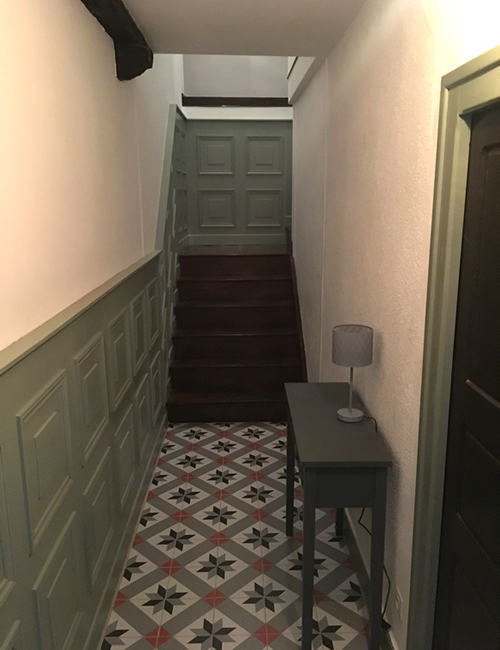 Classic French tiles lead you to a wooden staircase taking you to the living accommodation round the wood panelled corner under the high vaulted ceiling with feature lighting high above, you reach the first floor landing, off which is the kitchen, the Shower Room & Toilet and the Main Double Bedroom. 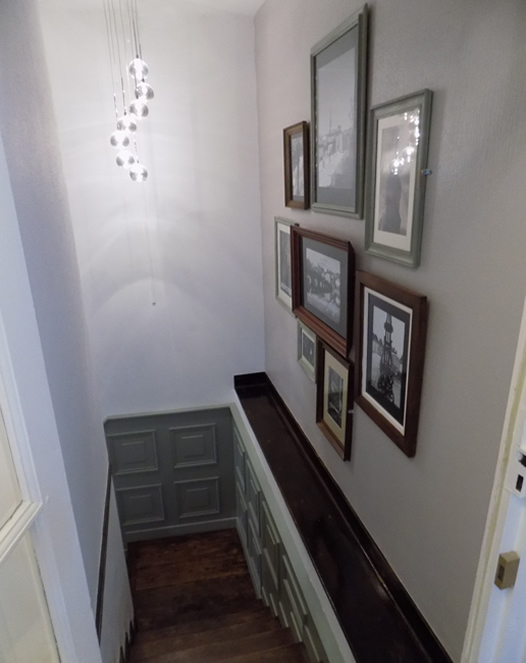 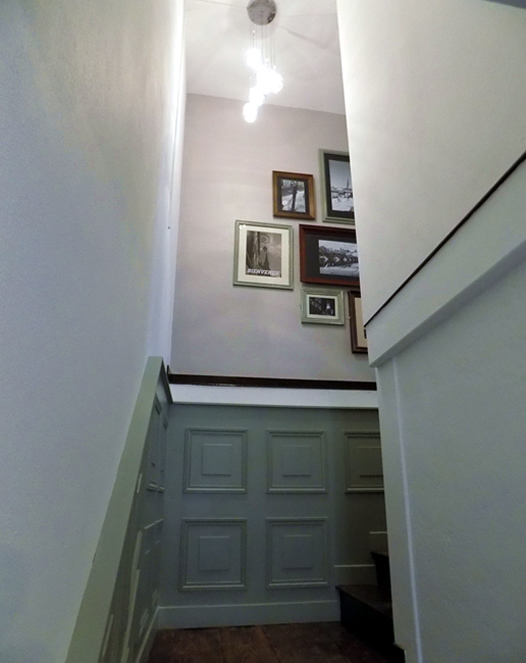 At the top of the entrance hall the kitchen leads to the open plan Living room and Dining room, and a further wooden spiral staircase takes us to the top floor Hallway and the three further bedrooms.